1. Excuse me? Can we get some more fries? My friend here is fat. 2. He was just another drifter who broke the law! 3. You don’t need a patch on your arm to have honor. 4. And cause I was a gazillionaire, and I liked doin’ it so much, I cut that grass for free. Okay, leave your guesses in the comments. Think you can stump me? Leave a quote in the comments and I’ll give it a try! This entry was posted in Uncategorized and tagged Catch the Rush, Lynn Rush, Movie Quotes, Paranormal Romance, PhotoBucket by Lynn Rush. Bookmark the permalink. Not sure about the other two though! Okay. I’m gonna let you pick the quotes next week. K? Only one I recognized was the Super 8 one, and that’s only because I just saw the movie the other night. The rest, no clue! I thought you’d get that one, Kendall!! I can’t believe it but even I’m stumped again. HA! You got it!! Nicely done! #4 is Forrest Gump, the other three have me stumped!! I LOVE that line in Forrest Gump. That accent, and how he says Gazillionaire. LOL. 🙂 Nice job. You guessed it! Yipes you got me. Fun ones though. I think #2 is Rambo and #4 is Forrest Gump but no clue about the other two. You’re right!!! I’m surprised anyone got RAMBO! That was a tough one. Love, love, love, that movie! Ohmigosh, after ALL these months of you doing this, I finally have guesses. I so stink at movie quotes, But since I JUST saw it, I know #1 is from Super 8. And I’m thinking #4 is Forest Gump. I will quote from my favorite quotable movie: You look like a normal person, but actually you are the angel of death. YEP You got it. Nice job, Kat. Wasn’t that Super 8 diner scene hilarious? Love those one liners. 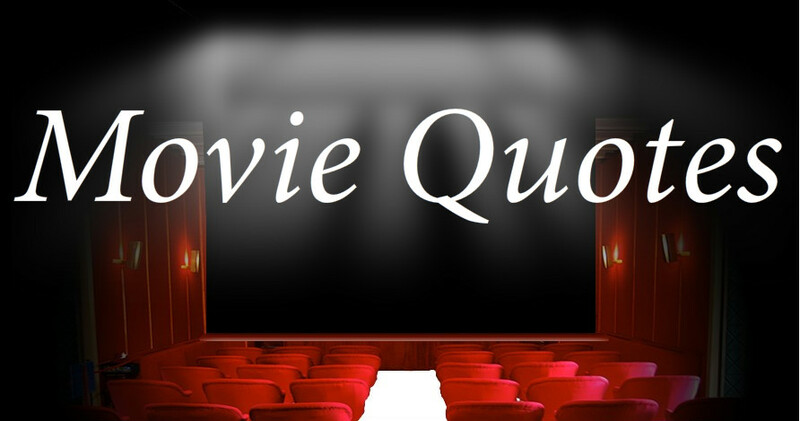 Your quote…is that from Harry Met Sally? I knew I couldn’t get that one past you, Lynn! Yep, When Harry Met Sally. And the kids from Super 8 were incredible. I picked a bunch of random today! That makes it more confusing!